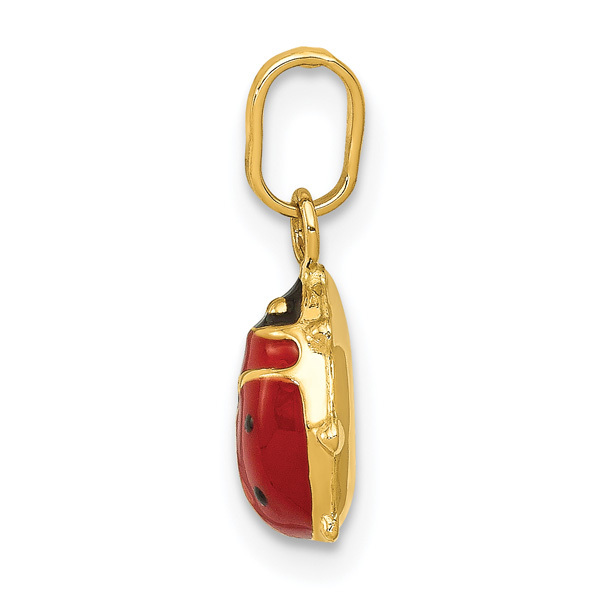 Italian-made enameled ladybug charm crafted in 14k yellow gold and enameled with a red body and black dots with yellow gold, making this a high quality, 3D ladybug charm that is perfect for bracelets or as a small pendant or necklace, from Apples of Gold Jewelry. 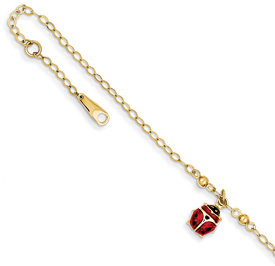 The ladybug charm measures over 1/2" in size and is closed-back/hollow. Optionally, you can also wear it as a small pendant or necklace by adding our 0.7mm 14k gold box chain necklace in either 18" or 20" to match. 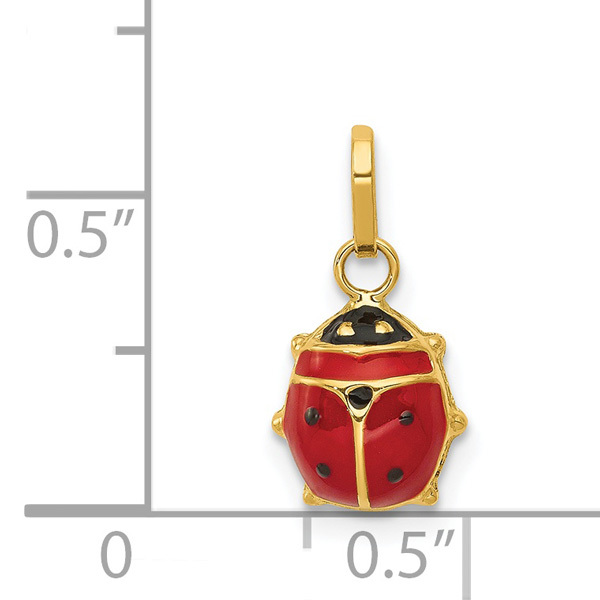 Match it with ladybug earrings, below. 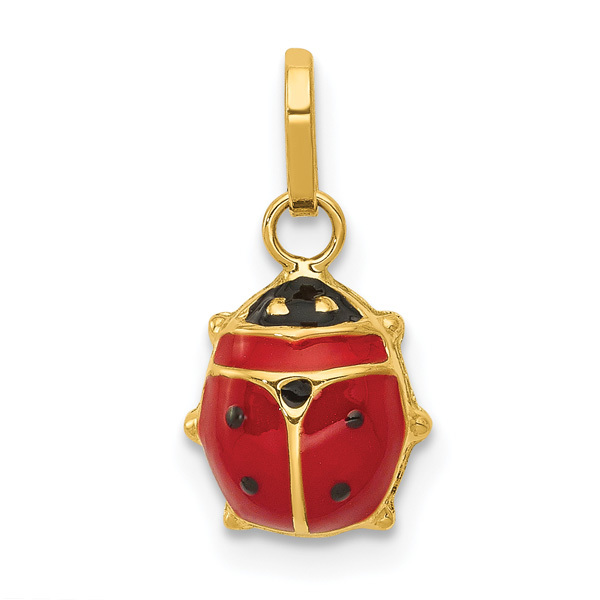 We guarantee our Italian Enameled Ladybug Charm, 14K Gold to be high quality, authentic jewelry, as described above.